Tom Hanks is one of the world's biggest movie stars. When his name is attached to a project, it's an event. The box office numbers will be fairly ample and a certain amount of buzz will follow. 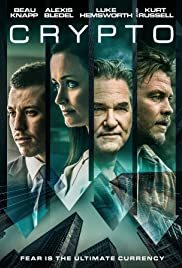 In The Circle (my latest review), the buzz might have already came and went. Hanks takes on a supporting role in "Circle". That's right, a supporting role. He fades in and out of the film and you wonder why he actually agreed to be in it. Tom might have thought "Circle's" script looked like Oscar gold on paper. Or better yet, he might have been doing director James Ponsoldt a solemn service. Either way, his appearance although aberrant, is not a career killer for him. Tom's career is already assured. The Circle, with its overextended foothold on the aspects of social media, is fascinating. I mean, it would have been really fascinating had it come out over thirty years ago. Now, with its story being just intriguing enough, it also feels like it contains a little too much hooey for my taste. "Circle" although inferior, makes The Truman Show seem like Romper Room in comparison. Furthermore, it makes better, paranoid thrillers like Snowden appear more akin to a Sunday stroll. The Circle clocking in at just under two hours, is the ultimate invasion of privacy flick. I was reminded of Rockwell's "Somebody's Watching Me" with every bleeding second. 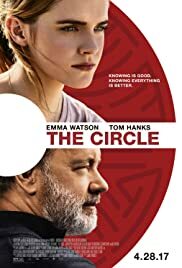 Containing a sterile look, featuring annoyingly inept side characters, and harboring an unclear ending (the protagonist's motivations are either revenge or plain-old betterment), "Circle" chronicles one Mae Holland (played with straight faced discipline by Emma Watson). Mae looking to better her human potential, takes a job at an Internet corporation called The Circle. She quickly moves up the corporate ladder, becoming The Circle's forgone messiah. Holland eventually gets in over her head, blurring the company lines of surveillance, seclusion, and personal freedom. 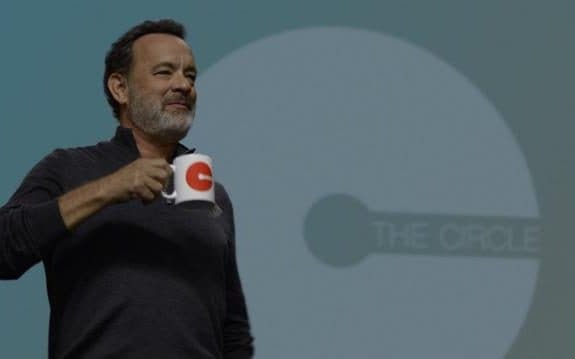 Tom Hanks plays Eamon Bailey, the head and co-founder of The Circle. In truth, Hanks and Watson give performances that rise above the otherwise, overly serious material. Also, the late Bill Paxton does decent work as Vinnie Holland, Mae's heavily disabled father. In conclusion, The Circle isn't a lousy movie but it doesn't come close to being of Hanksian proportions. It paints a bleak rendering of the future complete with marble-sized cameras, plenty of flying drones, and visibly overused text messages. You'll be absorbed by its level of paranoia, its eye in the sky platitudes. At the same time, you'll be turned off by "Circle's" lack of warmth and secret society buffoonery. Call it a larger version of cinematic coterie. Call it EDtv for the satirically challenged. Rating: 2 and a half stars.